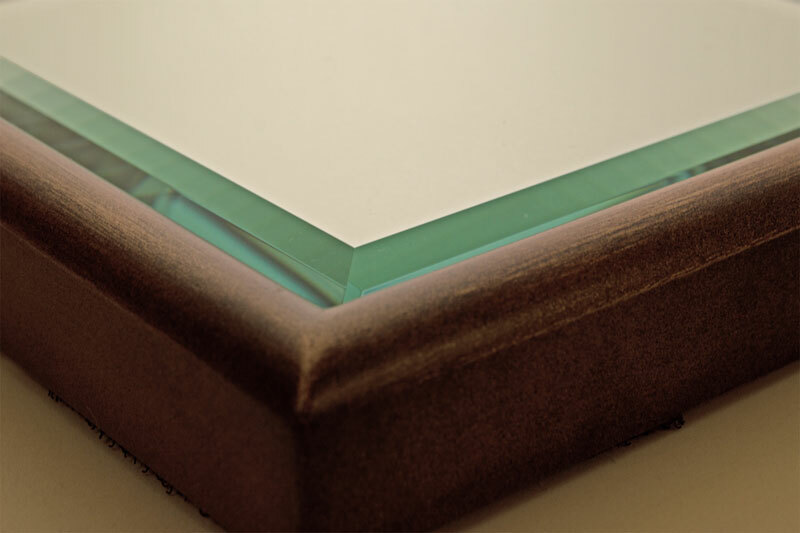 The colour possibilities for tinted Clear Mirror Glass have decreased over the years. Previously, the colours in the glass were made using mercury, which is no longer an option. The available colours have therefore been reduced to grey and brown tinted (as shown below), peach and green tinted. 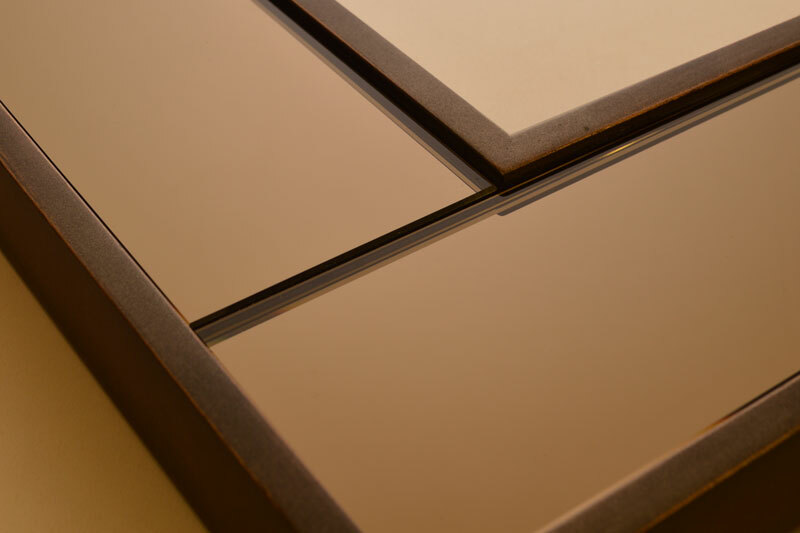 It is possible to request a mirror sample from us using our contact form, or by calling us on 01435 813158. 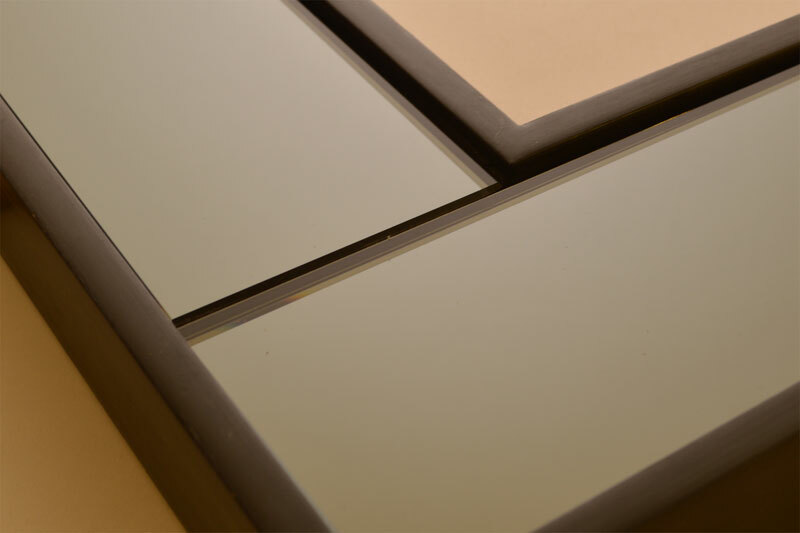 The Clear Float Glass Mirror is exactly as it says, and is the most commonly used type of mirror glass. 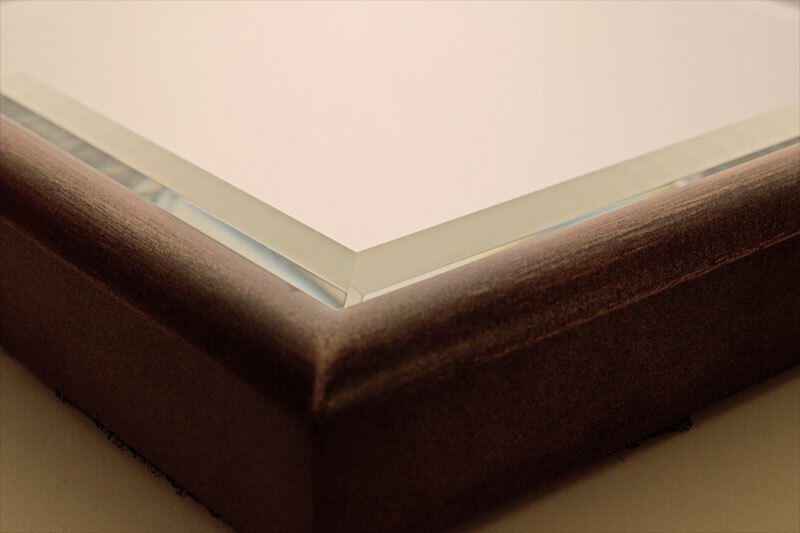 We recommend Low Iron Mirror for when the edge of the mirror is going to be exposed, such as with a bevelled or polished edge mirror. If you have any questions, don’t hesitate to give us a call and we will do our best to help you.